Need A Tape Measure? Click Here. I undersand that custom size is the final sale. My order will be custom-made with the measurements I provided. And I would be charged for all cost of any additional alterations. We know that the colors you see on your screen may appear differently in person. 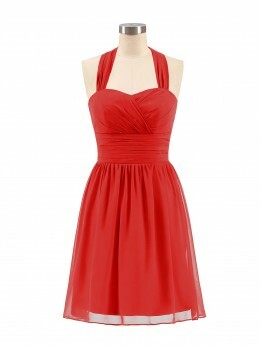 And, we want you to be sure that you are able to order our Bridesmaid and Wedding Party Collections with confidence! 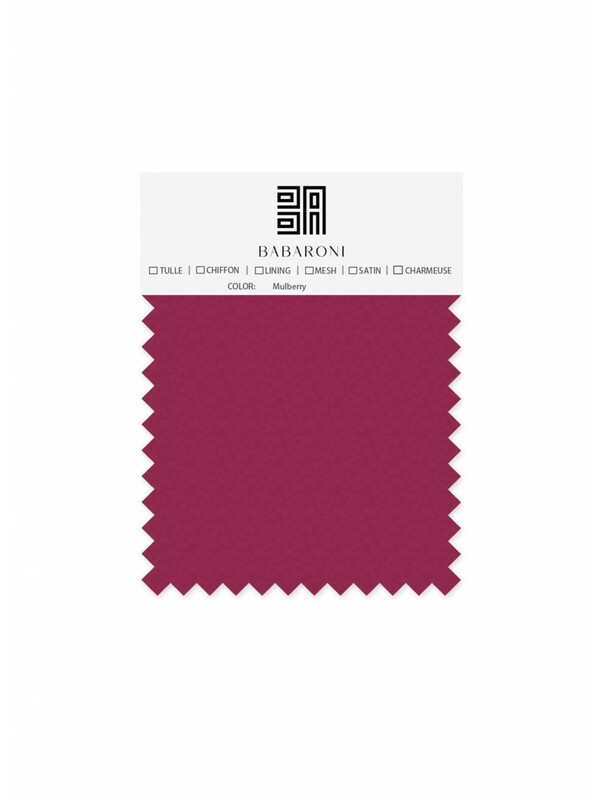 Go ahead and choose any of our color options listed, and we will send you our Chiffon, Satin, Taffeta, and Charmeuse fabric in color you selected. 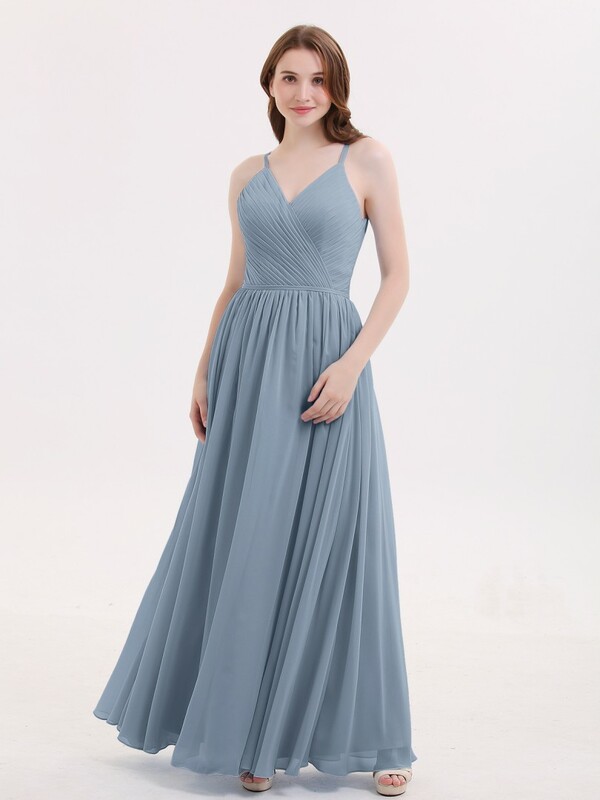 Seeing and feeling the different fabrics will help you decide which color is right for your dress, making shopping at home easy. All fabric swatch sales are final. 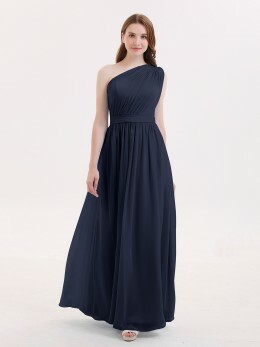 Tiffany is a lovely floor-length bridesmaids dress with an A-line cut with a pleated bodice in simple chiffon. 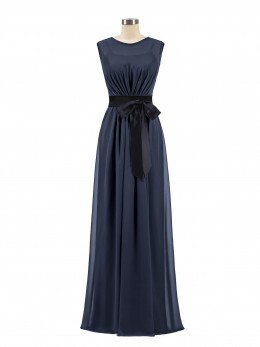 This bestseller features a v neckline with a jewel clasp on the back to hold the two spaghetti straps together. Available in full size range (US0-US26W) and in custom sizing. 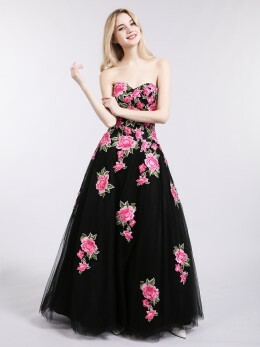 The model is 5'8 (176cm). She is wearing a standard US4 (Bust 34"(86cm),Waist 26.5"(67cm),Hips 35"(89cm),Hollow to hem 59"(150cm)). WANT MORE OPINIONS FROM OTHER PEOPLE? 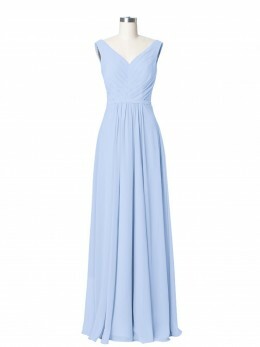 Get more reliable information on this dress from brides and bridesmaids! 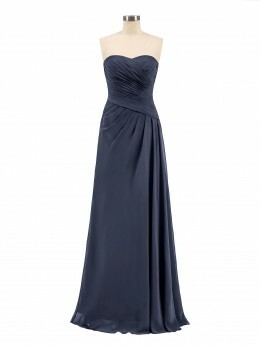 The dress was BEAUTIFUL. 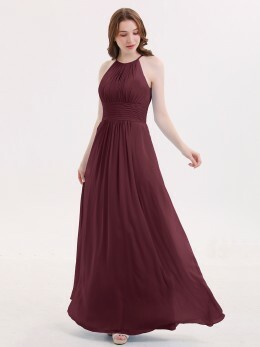 It moved fluidly, was comfortable to wear. Totally true to size. It was well lined. I'm 5'8", 160lbs, 36F bust, size 10. The grape was a GORGEOUS color. 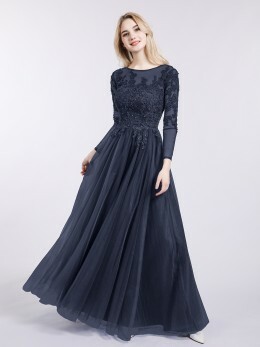 Perfect for the fall wedding I was in. Several people complimented me on the dress. Beautifully made and fits perfectly. Would definitely recommend to a friend any day and everyday. I heart Babaroni! 5 images max, 5MB max per image. Your name will help your friends find your showroom and help you share your showroom with others.